The original course at Hollinwell was designed by Willie Park Jnr and opened in 1901, the same year as two other famous courses he designed, Sunningdale and Huntercombe. When the course was originally laid out the Guttie ball was in common use, however only a couple of years later the Haskell rubber cored ball which could be hit much further, became far more popular. The original course was in the region of 5,500 yards and was soon considered too short. So in October 1902 JH Taylor and the clubs professional Tom Williamson made recommendations for improvements, respectful to the original design of Park. From time to time further alterations and improvements were made on the advice of Tom Williamson, who as was normal at the time was also the head greenkeeper. By 1906 the course was 6,000 yards long and to a bogey of 81. "Though Hollinwell is some miles out of Nottingham, the factory chimneys are not so far away, but that the ball, which starts its career on the first tee a snowy white soon passes through a series of varying greys till it is coal black, unless its complexion is renewed by a sponge. The southern caddie’s simple and natural method of cleaning a ball is not to be recommended." In autumn of 1910 an adjacent parcel of land was leased by a member who wished to erect a number bungalows on the land, much to the consternation of the club. Eventually, only one bungalow was built and the club acquired this and the rest of the land for themselves. They then leased more surrounding land in an attempt to prohibit development near to the course. The land also allowed for expansion of the course and in November 1911 Tom Williamson formulated a plan for 3 new holes to be constructed to the far side of the access driveway. These were in play by December of 1912. These improvements certainly fulfilled the promise that Darwin bestowed upon the course. Further changes have taken place since then including a number of new tees and bunkers, but the course is one that Tom would recognise. Holinwell has always been a long and fair challenge, with the card for the 1957 Dunlop Masters showing the course to be just under 7,000 yards and the course today measures 7,250 yards from the Championship tees. Hollinwell offers a stern test for top amateur and professional golfers while remaining playable by members and visitors. 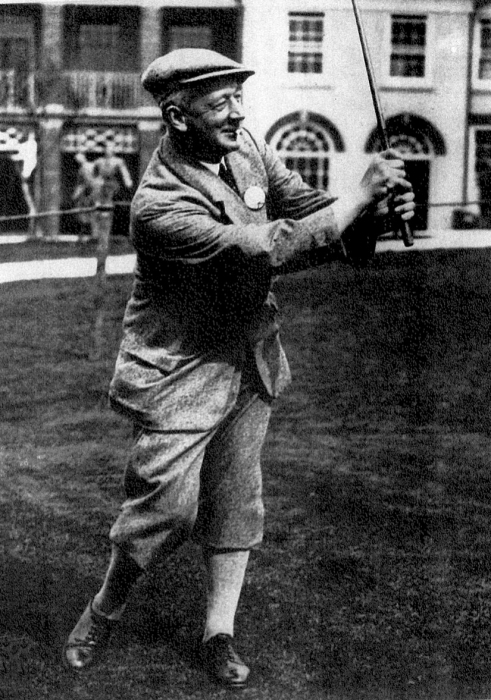 Besides being the Champion golfer of his time, he took golf to the world by participating in challenge matches and demonstrations in Britain, Europe and America. 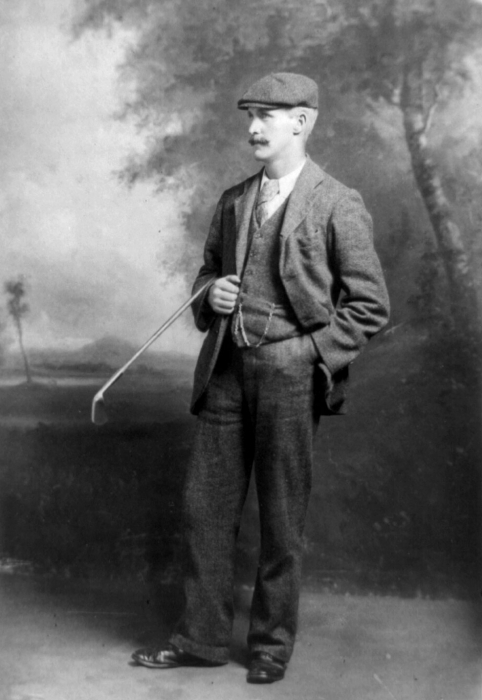 Park designed clubs, balls and golf courses and spread knowledge of golf as the first professional to write a book – The Game of Golf, now regarded as a classic. He was the epitome of the Victorian entrepreneur. Notable courses designed by Willie Park include Huntercombe, Sunningdale (Old), Hollinwell, Silloth-on-Solway, Western Gailes and Gullane (no’s 2 and 3) and the world’s only 12 hole course Shiskine on the Isle of Arran. He spent his later years in the United States where his work included the extension and remodelling of Maidstone on Long Island and designed Olympia Fields (North) which hosted the US Open in 2003. 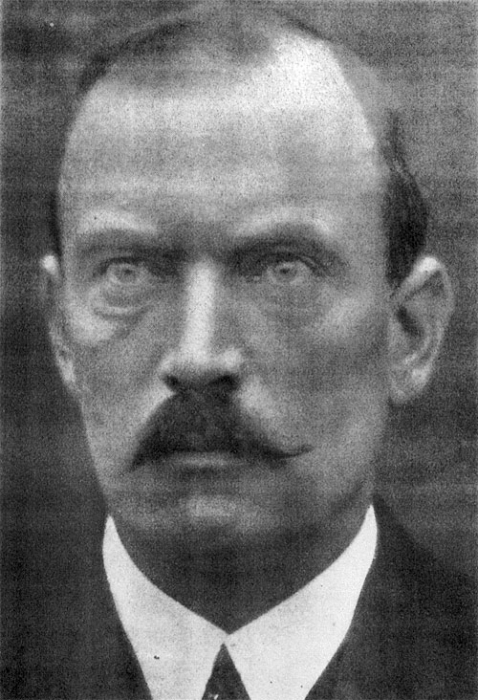 John Henry Taylor was one of the “Great Triumvirate” along with James Braid and Harry Vardon and was a 5 times Open Champion! He served as assistant green keeper at Westward Ho! in north Devon then as professional and greenkeeper at Burnham & Berrow in Somerset before moving on to be professional at Winchester, Wimbledon and finally Royal Mid Surrey. He used his enormous influence to promote public golf courses in England. From 1922 till 1939 Taylor was in partnership with F G Hawtree as a golf course designer, most of his better known work being remodelling and renovation works at such courses as Royal Birkdale and Royal Porthcawl. Taylor also did solo remodelling work at Royal Dornoch, Machrihanish and Hollinwell. As mentioned previously Tom was associated with Notts Golf Club for 54 years as professional, greenkeeper and club maker, but it was perhaps as the architect of the current course layout where he left his lasting legacy. As a golf course architect he was an early advocate of plasticine models of new greens and claimed to have worked on all but one of the courses within a fifty mile radius of Nottingham! Williamson designed nearby Wollaton Park, Beeston Fields, Longcliffe, Rushcliffe and Worksop and remodelled Hollinwell and Sherwood Forest.